Copper is an element and mineral, and crystallizes in many forms, including free-forms. It was first reported by Pliny in 77 AD as “ AES Cypriuum” which is referring to the Greek word meaning “Cyprus”, where the locality of the first deposits were ever found. This metal promotes self-healing, optimism, happiness, and independence. Copper is naturally known as a conductor and shows that use throughout the world in multiple different ways and devices. Many trades and occupations use copper daily and is a metal needed to keep society running. Copper conducts spiritual energy between individuals, and allows for healing and repairing of the body by soul stimulation and free flowing emotions. Physically, Copper supports the tissues and red blood cells. 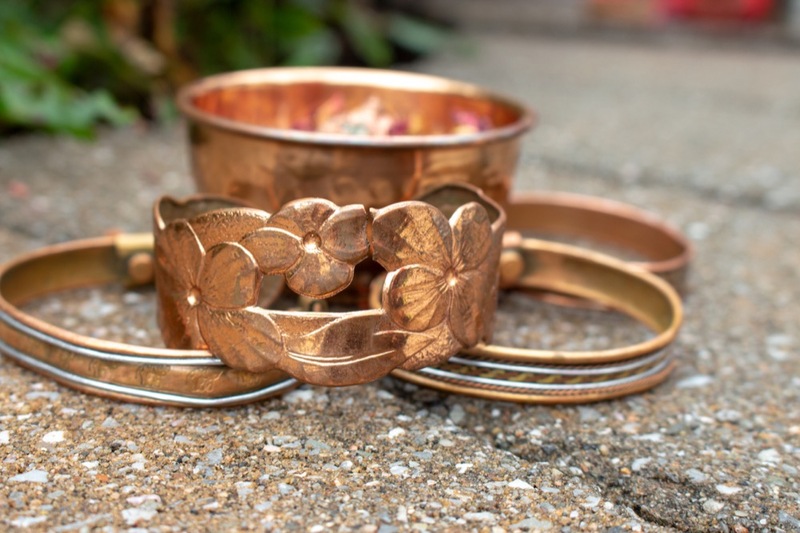 It is common to use copper in bracelet form to help people with arthritis, treatments of skin diseases and wounds. 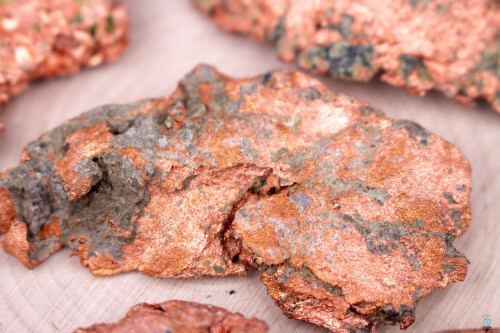 Copper has been said to help with internal diseases such as heart problems, cancer and anemia. Copper will also give the user freedom from mental burdens when used in the correct way. This metal has been used medicinally for thousands of years in various amounts of ancient cultures. It was also used in rituals for its unique energetic properties. Common belief to this day is that Copper protects the blood against disease by supporting the blood's healing powers. 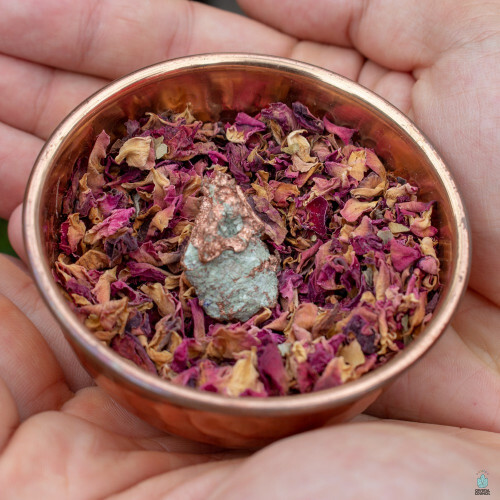 It aids greatly in blood circulation to increase overall physical vibrations, and urges the opening of blocked energy by dispersing negative energy while attracting a positive change. Copper will give its user amplified thoughts and send healing energy all over the body to aid in promote overall health. This special mineral is here to absorb negative energy from the body and project it away from you. 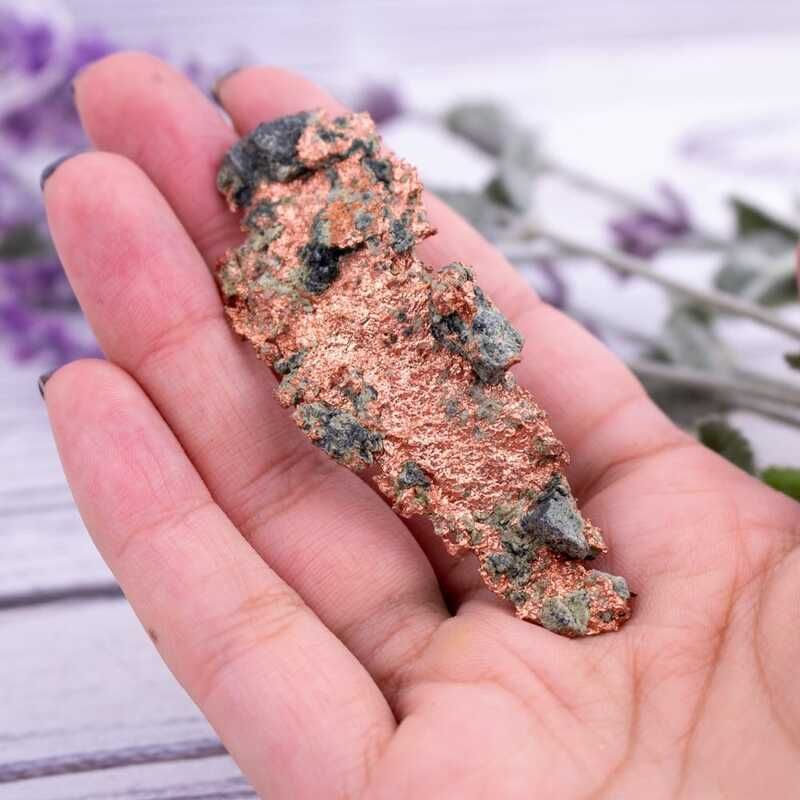 Copper grounds and moves a wide range of vibrational frequencies from the spiritual realm to the physical realm. Copper is found naturally in the USA and is also the second largest producer of Copper in the world. A majority of copper in America is found in Utaha. Chile is the number one producer of Copper and supplies 1/3 of the world with it annually.